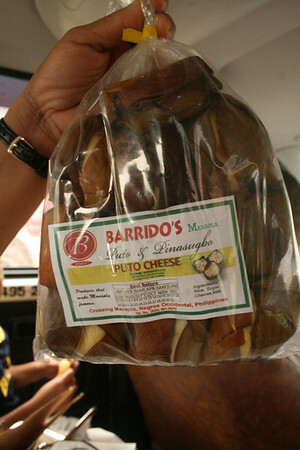 I like puto but only eat the plain or cheese variants and only really love the ones made in Batangas, or the puto calasiao from Pangasinan. I prefer kutsinta. 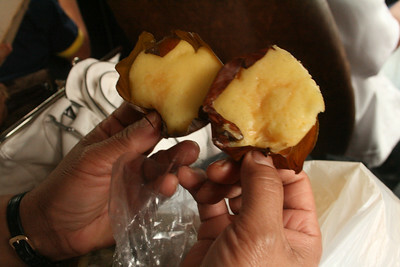 Puto is rice cake shaped like a muffin. In my research of Bacolod eats, Manapla puto keppt cropping up so I made sure to try it. Unfortunately, our first opportunity to try one was while eating at Deco's in Iloilo, and we were soo disappointed because the ones we tasted from that restaurant wasn't great at all. We wondered, why are they raving about it? But since the itinerary drafted for us by my friend left specific instructions to go to Manapla for puto (and since we were already near, having gone to VMC), we decided to give this native delicacy another try. We didn't have high hopes but we wanted a fresher version to replace the original unsavory experience. And OMG, was it sooo worth it. 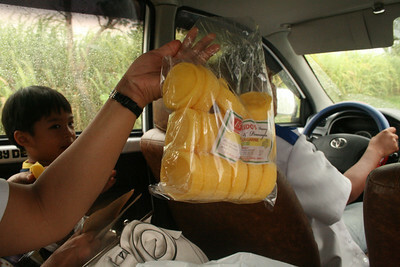 The thing about Manapla Puto was that it was soooo light. And tasty. Before you know it, you've eaten 3 and going for more. It was really very delicious in a very Filipino way. Maybe you don't have to go all the way to Manapla to have a taste of their authentic puto. I'm pretty sure you can get some at Bacolod's wet market. And I swear by Barrido's Puto. But if ever you are in Bacolod, oh, do get some. Super must try!